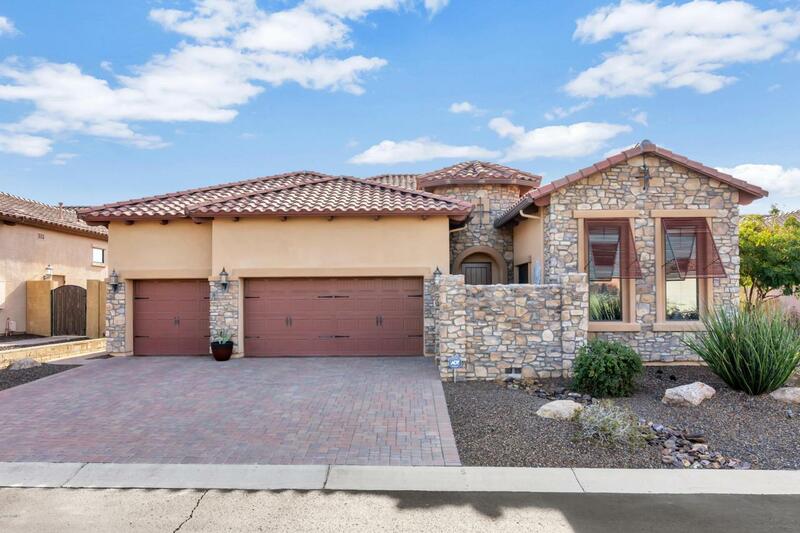 Stunning home w/ heated pool/spa & views of the Superstition Mountains & gated, resort-style community of Mountain Bridge. Enter thru the welcoming courtyard. 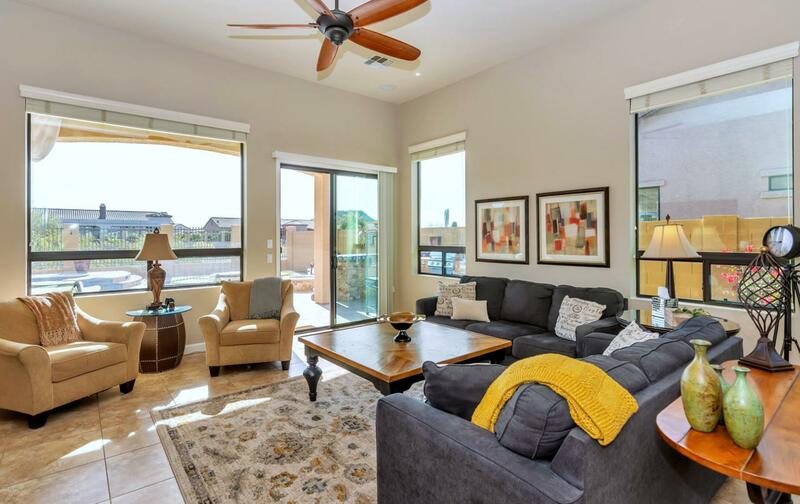 Inside you will find dramatic arches, soaring ceilings, R/O system, water softener, 2017 tech upgrade - alarm, surround sound, dimmers & patio speakers. 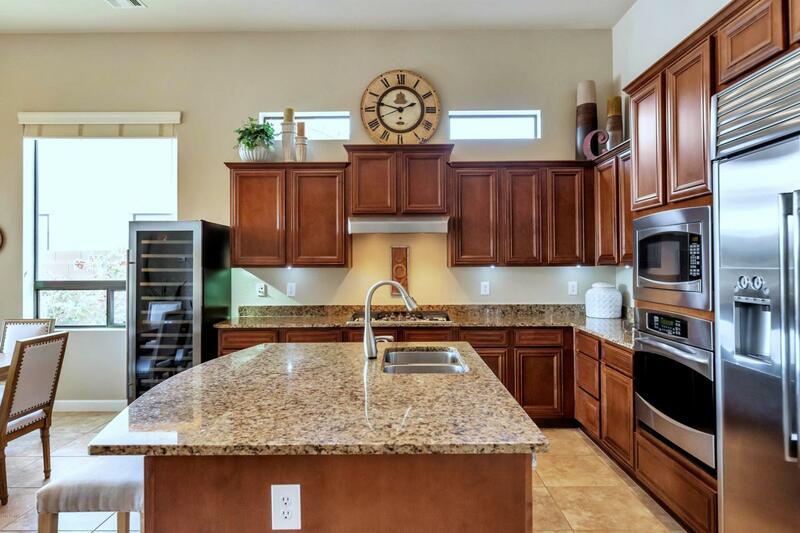 Kitchen features upgraded staggered cabinets with 3'' crown, GE Profile stainless appliances, 2015 gas cooktop, 48'' built-in refrigerator, 2018 Dishwasher, & Garbage Disposal. The split floor-plan offers 3 bedrooms & 3 full baths, + den or formal dining. Master Bdrm closet has custom built-ins. Store all your toys in the 5-car garage with upgraded metallic floor, cabinets/racks & 2018 water heater. Backyard has gas firepit, heated saltwater pool/spa w/ water feature &LED lights.